Never forget your medication again with our networked pillbox. Check usage with voice commands and get reminders. Adults especially the elderly can regularly forget if they've taken their medication which can lead to serious consequences for their health. "The consequences of drug noncompliance may be serious in older patients. Estimates of the extent of noncompliance in the elderly vary, ranging from 40% to a high of 75%. Three common forms of drug treatment noncompliance are found in the elderly: overuse and abuse, forgetting, and alteration of schedules and doses." 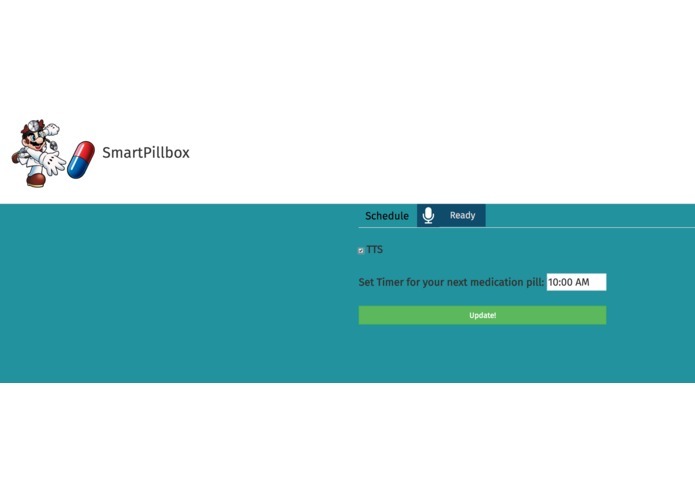 We created a smart pillbox that keeps track of your medication use for you. 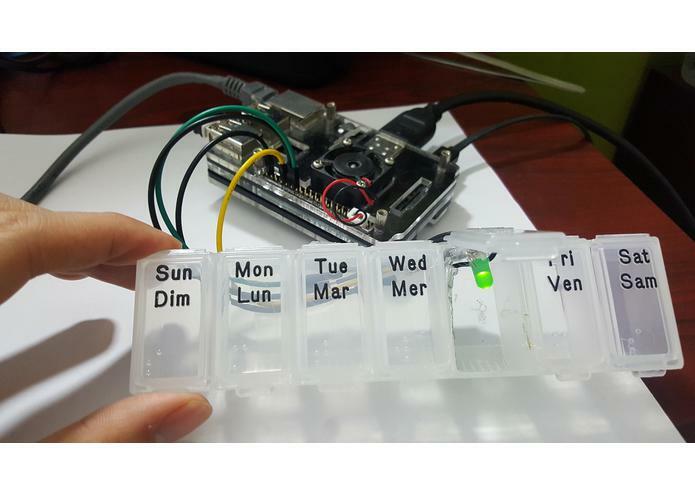 Smart Pillbox is an IoT pillbox that automatically records when you take your medication. 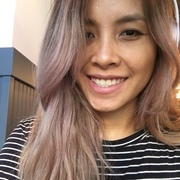 Smart Pillbox connects to our voice app over Wifi and if you forget to take your medication, the app will send you an SMS reminder. Our app is provides an easy to use interface for the elderly. You can get a history of your medication use by using our voice interface. Simply ask it a question like "Did I take my medication yesterday" and Smart Pillbox will tell you. We detect pillbox use and connected Smart Pillbox to the internet by using a Raspberry Pi 3 and its onboard WiFi. When the Pillbox is used it sends a signal to our webserver. The server then communicates the data to our Nuance mix model and twilio which communicates with the user. It was challenging to create the webserver that communicates with our Pi and other services. We're proud to have made a functioning multi-platform system that can be used to help the elderly and other people. The experience was very rewarding for us as we got experience working on a lot of different things. We learned how to use Nuances mix API. In addition, we learned how to setup a web server and even got hands-on experience doing a DIY IoT project with the Raspberry Pi. We want to integrate our app with Amazon Echo and Google home for further ease of use. Mainly work on the software side including getting server up and running, front end (with the inspiration of Nuance Sample App) and backend.